What is a curation trail? And how to configure the ideal settings for your case. I'll try to help so we have to analyze what is your goal to follow a trail? 1 - Only automate the vote for lack of time? 2 - Give the trail the responsibility of choosing good posts? 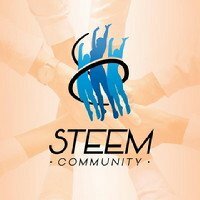 3 - Try to get better profitability for your Steem Power through automatic votes? 4 - Contribute to a certain community by voting only on it? Have you found the answer yet? So let's see how to do. When following a trail you give her the possibility of voting in behalf of you on posts chosen by the trail. But attention you have the freedom to vote in your own choices as well. Another important factor is the management of your voting power. 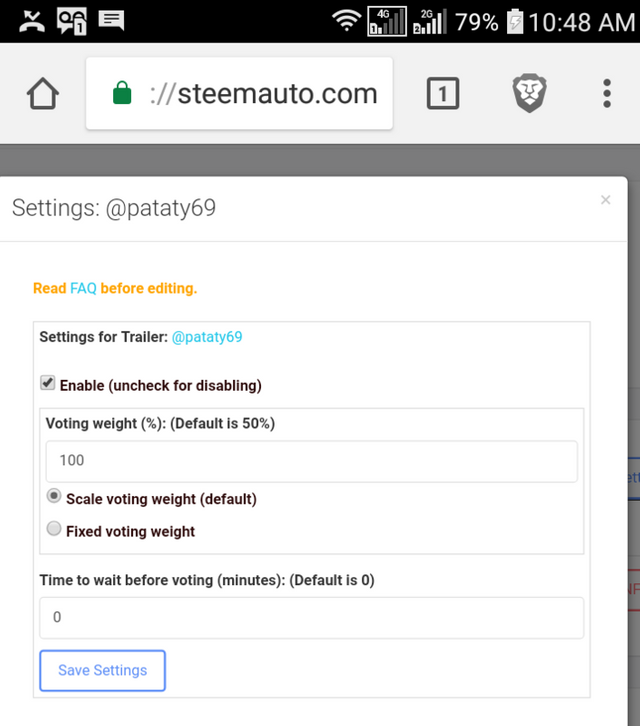 If the trail that follows voting many posts will certainly lower your voting power in terms of force % and logically as you can see in @steemworld in value, for this you must configure the conditions of vote, power and time as I go explain below. As a CURATOR I look for posts with quality content in texts, images, photos, videos, interviews, tutorials, etc. and that they are promising in terms of coming to receive good rewards in number of votes and value. For this I select after reading and analyzing the history of other posts by the same author. In order not to lower my vote too much and also my power, I limited the number of posts to vote at around 15 to 20 per day with 30%. So both me and those following me on the trail will have room to vote on personal choices and continue with a good vote. If you choose and vote before the trail the same post your personal vote is worth it. This week I got a voting efficiency of 0.336 SP for every 100 STEEM POWER owned. 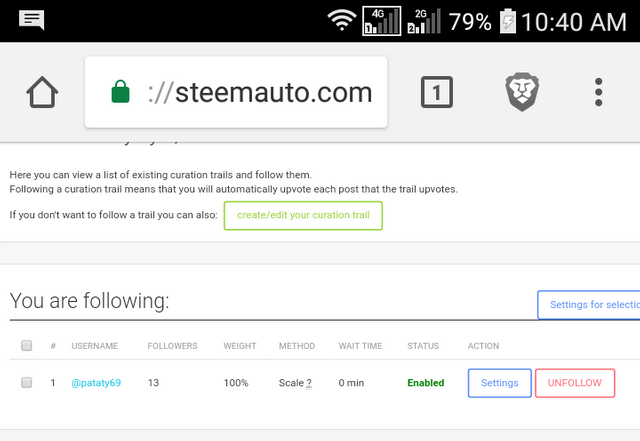 To follow my TRAIL you should access the link https://steemit.com/steemauto/@steemauto/steemauto-com-free-and-unlimited-auto-upvote-and-auto-posting-service and follow the instructions to create and have access to your @steemauto account. 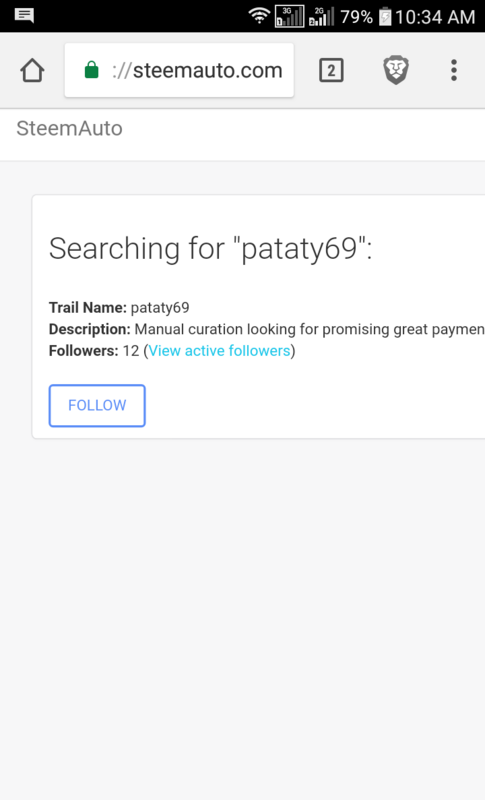 Once you have secured access, go to the side menu and choose CURATION TRAIL, then in the Search for a trail place @pataty69 and click Search. So it will copy my 30% vote. Here it is finished now go back to the menu and choose DASHBOARD. Now you will protect your vote to reduce too much power. This leaves room for personal votes. I do not recommend lowering 80%. @trincowski its a honorable choice you made. 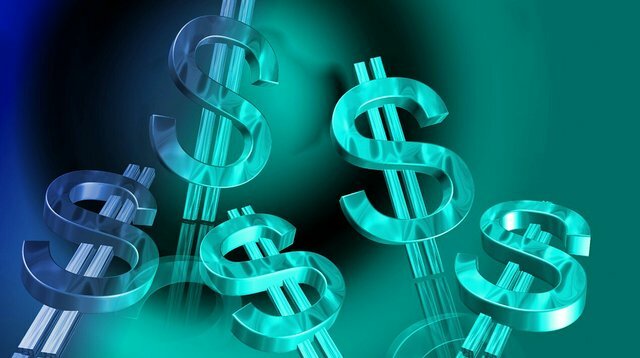 I choose start this project 2 month ago for helping people to get better rewards in curation special the newbies who don't have know how to choose posts and only get a average of 10% of her vote, my goal in trail is more than 100% of vote. @bhaski I already added you to my curation trail worksheet. Thank you enjoy it. @papaty69, I am now on your trail. This is my first rodeo. Thanks. @aneukpineung78 I saw it and already added you to my curation trail worksheet. Thank you enjoy it. Thanks, @pataty69. This is good. Sound nice to be on your trail, will have a closer look tomorrow, thanks gentleman! 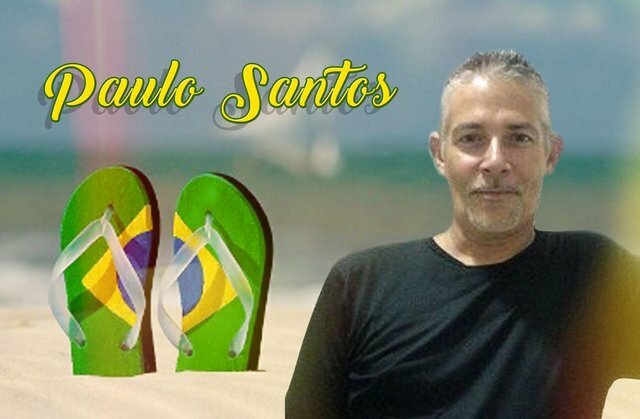 @minloulou I would be happy to have you following my trail. Your UA account score is currently 2.458 which ranks you at #16493 across all Steem accounts. Your rank has improved 1 places in the last three days (old rank 16494). In our last Algorithmic Curation Round, consisting of 499 contributions, your post is ranked at #325.